Nowadays no one leaves home without their trusty iPhone. Back in the 80's, cell phones were way less inconspicuous and resembled a brick more than our popular idea of a cell phone. Educate everyone on what a retro portable phone looks like with this Inflatable Mobile Phone. This is a great accessory for any 80's costume! We can still remember the days when soap and drama stars walked around with their cell phones and we thought they were just the coolest. A phone you can carry with you? How rad is that!? But you couldn't really carry them with you. They were quite big and cumbersome (does anyone remember the bag phone?). 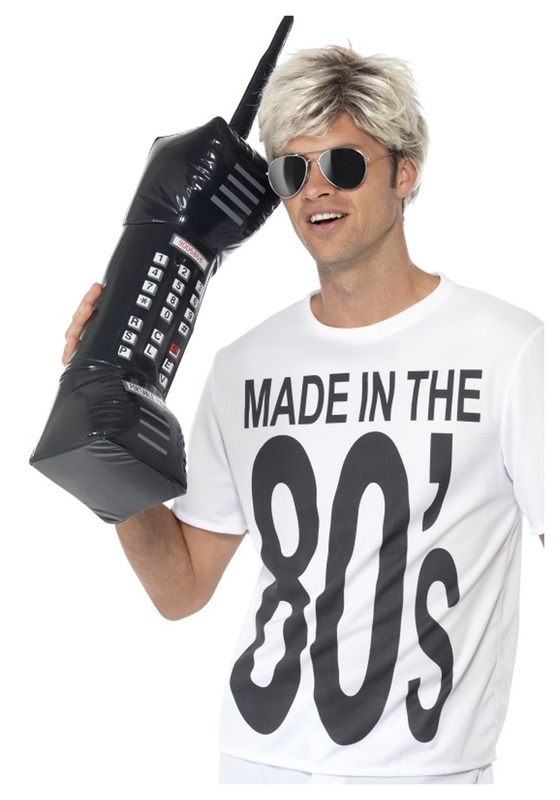 This inflatable cell phone accessory does the idea of cell phones in the 80s and 90s justice by being oversize and hilarious. Think of yourself sitting in the back of a classroom making calls on this thing. It's quite comical to think about, isn't it? It goes well with any 80s costume for a fun look this Halloween.